October seems to be a busier month for mail art than September. Maybe I’m not the only one who gets distracted by the end of summer? 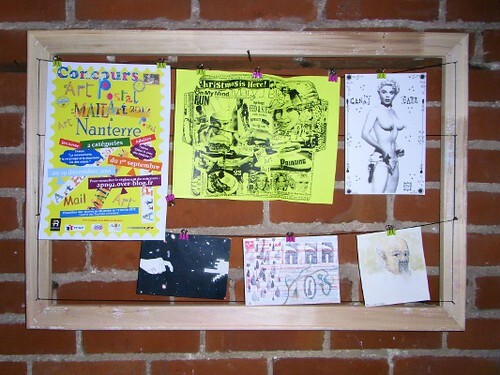 Pictured here is work from Eni Ilis, Truman Bentley Jr, dewi, Russell Manning, Serse Luigetti and an advert for the Mail Art contest being run in Nanterre. In: mail art received · Tagged with: Dewi, Eni Ilis, mail art, mailart, return mail, Russell Manning, Serse Luigetti, Truman Bentley Jr.